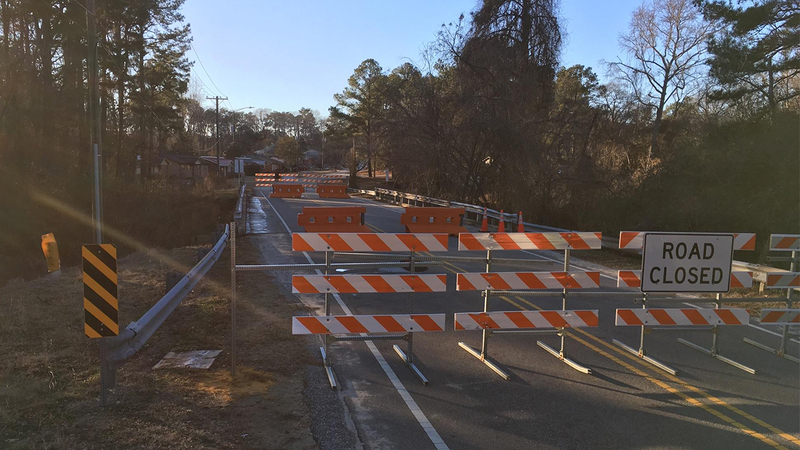 FAYETTEVILLE -- Effective immediately, the city-maintained Louise Street Bridge will close as a precautionary measure after a regularly scheduled bi-annual inspection indicated the condition of the bridge had deteriorated faster than expected. City staff grew concerned about the safety of the bridge for traffic after meeting with bridge inspectors Friday to review their findings, and determined the best course of action would be to close the bridge until it can be replaced. The bridge has been on the city's replacement list for several years and inspections of the bridge have been done at regular required intervals including after Hurricane Matthew last year. Those inspections have always deemed the bridge to be safe. The latest inspection, however, identified an unexpected level of deterioration that supports a finding that the bridge is no longer safe for vehicles. Pedestrians will still be able to safely cross the bridge, so students will still be able to walk to school as they normally do until the bridge is replaced. The City's Public Services Department is in the process of determining the next steps to take regarding the design and construction of the new bridge and more details will be released when possible. "We just wanted to ensure in the interest of the safety of our residents, that we immediately close the bridge," said City Manager Doug Hewett. "We will continue to work as quickly as possible to get this bridge replaced, but this is not a quick process.